Emerging from the Paris Metro, I was amazed and delighted – not to be in Paris or to be seeing the city’s fabled postcard vistas for the first time – but by how the women dressed. Walking to our hotel, not a block passed that I didn’t see a woman whose attire was unique, a fashion statement, a one-off design that expressed her mood, taste, and aspirations. Truly, there was also something special in the air. Emerging from the Metro, I felt powerful vibrations of “Liberté, Egalité, Fraternité.” The atmosphere breathed of creativity. Places do have atmospheres. If you’ve vacationed in Hawaii, you know that the very air can feel like a personal massage therapist. People returning from the Islands look as if they’d been kneaded by big brown Lomi Lomi hands, their faces flushed, eyes dreamy, skin radiating Aloha warmth. There’s a northern California race, which for gentlemanly reasons I won’t name, where the atmosphere is a killer. Fifteen miles into the race, you feel as if your legs were melting into the pavement. It’s a notorious black hole – a Bermuda Triangle that eats runners, laughing at their dreams of PRs – an evil vortex of anti-runner ions. And the weird thing is that the surroundings are beautiful – the race passes through miles of lovely farm country, punctuated by oak groves and meandering streams. 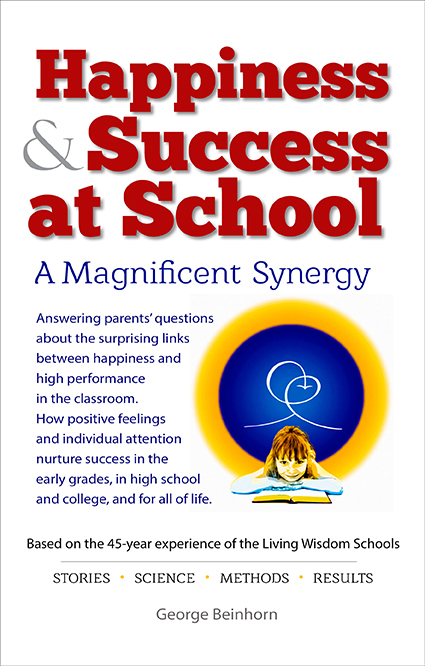 I’ve noticed similar vibrational anomalies on the routes I run near home – some have wonderful energy, while others are energy sumps – quicksand traps that make me want to lie down by the road and weep. The worst routes are those where the first miles raise my hopes with Good Vibrations, only to dash them with a gradual descent into the Swamp of Despond. A route I no longer run on the Stanford campus was like that. I felt fine as I started from the sports complex, and as I jogged past the Quad, the hospital, the community gardens, the stables, the driving range, and the lake. I continued to enjoy the run, unburdened by Furies in the road, as I traversed the four-mile loop through the Stanford Hills and descended to Stanford Avenue. But I quickly learned to avoid Escondido Road. I mean, forget it. Perhaps it’s the freshman dorms that line the street – the generations of pale freshman exam-book Angst that saturate the pavement, trickling into the asphalt, a steady drip of black bummer-oil over the years. Perhaps it’s merely my own melancholy freshman memories. Regardless, the point is, negative energy is something runners need to watch out for – we need to avoid venues that leak bad vibes, and other runners who sap our joy. I’ve been a runner long enough to notice that running’s long-term trends have their own vibrations, too. Forgive me if I revisit my memories of the Seventies, when road races offered a mongrel mashup of weird distances. Here in the Bay Area, we had the 17-mile Berkeley-to-Moraga race, a point-to-point that climbed the eucalyptus-lined Berkeley Hills, then descended into the bucolic suburbs of the nation’s 79th-wealthiest city. I also remember also a wonderfully scenic race on the Monterey Peninsula’s famous Seventeen-Mile Drive. Race directors in those days weren’t constrained to carefully measured 5K, 10K, 1/2-marathon, 30K, and marathon distances. If they felt like it, they could string a course 15 miles between two bland East Bay towns – say, Pleasanton and Livermore – just for the hell of it and because they could. It was fun to run those races. They were several things – travelogues, adventures, somewhere to run where you wouldn’t dream of running otherwise. By contrast, today’s tidy 5K/10K loop courses seem sterile and uninspired, each one identical to all the others. Pay your $40, run for 15 to 60 minutes, and there you are. Little races made of ticky-tacky. Well, perhaps I’m being unfair. It isn’t hard to understand why the standard distances prevail today – it’s much easier to set up a 5K than a meandering 17-miler over the Berkeley Hills. Nevertheless, in too many areas of our lives, there’s been a trend away from creativity toward conformism, efficiency, and boringness. Take technology – don’t get me started about word-processing software. As a professional writer, I have to say, there hasn’t been a decent word-slinger’s power program since WordStar expired in the 1980s. Software today is almost universally boring, aimed at the lowest intelligence, written by middle managers obsessed with eliminating an expensive learning curve. When populist running was born in the late 1960s and early 1970s, it had an individualistic, counterculture feel. Frank Shorter wore long hair and a moustache, as did Pre, and both were outspoken in their resistance to running’s old-fogey establishment – the gray eminences who ruled the AAU and defended a phony amateurism. For runners, the spirit of the seventies invited us to run as healthy hippies, only less whiny. 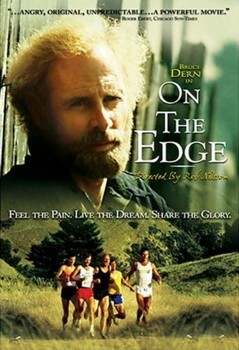 Our feelings about the sport were captured by icons like Bruce Dern’s character, Wes Holman, in On the Edge, or Peter Strauss in The Jericho Mile. 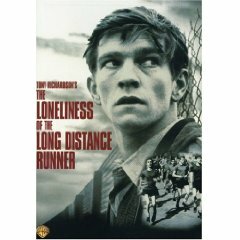 (“Without me coaching you, without Captain Midnight filling your hoochy soul with funky inspiration, how are you going to be champion?”) Going back as far as 1962, we had Tom Courtenay in The Loneliness of the Long Distance Runner. Those movies were about individualism versus conformism, and individual dreams versus The Machine. How things have changed. In the early 1990s I drove to a race in Stockton, California in Pepito, my funky little 1980 Honda Civic. Pulling into the parking lot, I spied a running buddy and walked over. Carl Ellsworth was one of the world’s nicest guys. A retired professor who’d spent his career teaching at a university in Japan, he was listening to a older man who looked as if he hadn’t s miled since 1948. I climbed out of the car and ambled over, smiling at Carl, while this guy impaled me with a judgmental frown, then turned and gazed balefully at my car, like a pterodactyl with a secret sorrow. I thought, “He’s one of the guys who are ruining running – the bean counters who weigh everything in terms of dollars and prestige.” I had sadly noticed his brethren since I’d come back to running – the new demographic of runners who weren’t happy on group runs unless they were droning on about their stock portfolios. In 1997, Dave Littlehales and I ran the What, Mi-Wok? Trail 100K together. Actually, we power-walked it. A former 2:50 marathoner, Dave has congenital hip problems that prevent him from running. At one point, a pair of trail sweeps trailed along behind us, talking very loudly about the criminal cases they’d defended. Although we were 50 miles into the race, Dave and I sped up until we were out of earshot. Preemptive Disclaimer: I’m sure that if you visit northern Minnesota, you’ll find an attorney or stockbroker who’s a really nice guy and not a Runner to Watch Out For. But, let’s face it, if you run with lawyers and bean counters, you take your chances. Does running really need unspoken codes of behavior and status layers? Resolved, that running should be about the individual – about building wonderful vibes. 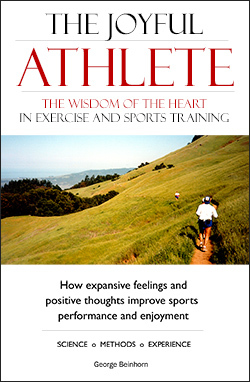 The sport exists for the individual, to expand his individual body, heart, and mind. He listed eight attitudes that prevent us from keeping our hearts expansive and open to that “natural love.” He called them “the meannesses of the heart”: hatred, shame, fear, grief, pride of pedigree, condemnation, race prejudice, and a narrow sense of respectability. Running delivers the richest experiences when we open our hearts – and when we avoid places and people who try to close them. Happily, there are any number of ways we can avoid the narrowing trends of the sport, and gather good vibrations. Running will always offer the escape valve of running alone, for example. In simple harmony with nature, we’ll feel our bodies relaxing, our minds clearing, and hearts soaring free. Great blog post! As a barefoot runner I get some support from fellow runners but there is a heated debate now brewing and I don’t want it to dampen my running spirit. I love to run. Out in the world just relaxing on a nice long run is the best!